A hideout for black bears and whales. 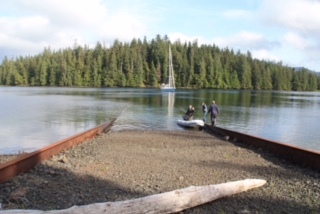 We anchored early and left for our first shore expedition. A former timber camp we walked in the dense new growth forest. 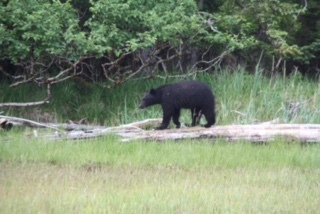 Later we took the dinghy towards a creek known to be a popular bear site. 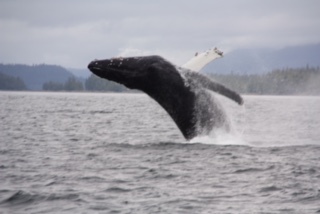 All is good and we had a great time today with whale and bear watching.